The group's Incorporated Trustees, according to Ripples Nigeria has dragged President Buhari before the Federal High Court in Abuja, over accusations of fighting a “lopsided” corruption war. The suit which was also signed by an anti-corruption body, Kingdom Human Rights Foundation International, was dated December 29, 2016 and marked FHC/ABJ/CS/1072/2016. In its suit, SNG asked the court to mandate President Buhari to initiate criminal proceedings against the Secretary to the Government of the Federation (SGF) Mr. Babachir Lawal and Acting Chairman of the Economic and Financial Crimes Commission (EFCC) Mr. Ibrahim Magu, over their alleged involvement in acts of corruption. The plaintiffs are praying the court to invoke its original jurisdiction and compel the 1st Defendant (Buhari), to without delay sack Lawal and Magu. According to the groups, their continued stay in office is a smack to the present administration’s anti-corruption stance. 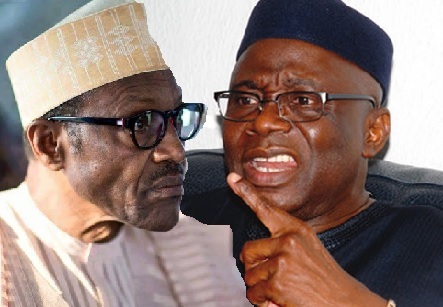 The SNG, led by Pastor Tunde Bakare, had in the days following the ailing health of late President Musa Yar’Adua led protests calling for the swearing in of Former President Goodluck Jonathan as substantial president. The group had after the swearing in of Jonathan largely disappeared into obscurity.